Rat Control PORT ELIZABETH » Tel: 0828105617 » Port Elizabeth The Port Elizabeth Pest Control Experts! If your residing in or around PORT ELIZABETH, chances are you have a rat problem. This is very common in roofs in PORT ELIZABETH homes and here at PORT ELIZABETH Pest Control we have the best coarse of action to deal with all your rodent or rat control situation in or around all of PORT ELIZABETH. Our PORT ELIZABETH rodent and rat control staff are trained to suss out the the safest most simple solution for all you rat control needs in your PORT ELIZABETH home. All the rodenticides we use in PORT ELIZABETH are places in safe locations out of the way of children and pets. In most situations we prefer to use multiple feed baits to prevent any secondary poisoning of pets or natural predators. A bit about rats commonly found here in PORT ELIZABETH. 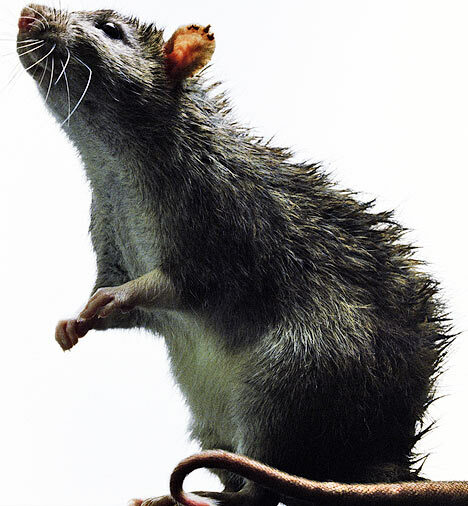 PORT ELIZABETH Pest Control mostly deals with Brown rats (Rattus norvegicus) also known as the common rat, street rat or sewer rat and the Black rat (Rattus rattus) also commonly know as the ship rat. Both these rats are considered omnivorous and feed naturally on seeds, fruits and invertebrates. Adult rats range between 25cm -46cm long depending on the type of rat including a tail ranging from 17cm - 25cm long. Go ahead and call PORT ELIZABETH Pest Control now for your PORT ELIZABETH rat control specialists to visit your your home or office. Our staff are available 24 hours a day to take your calls.